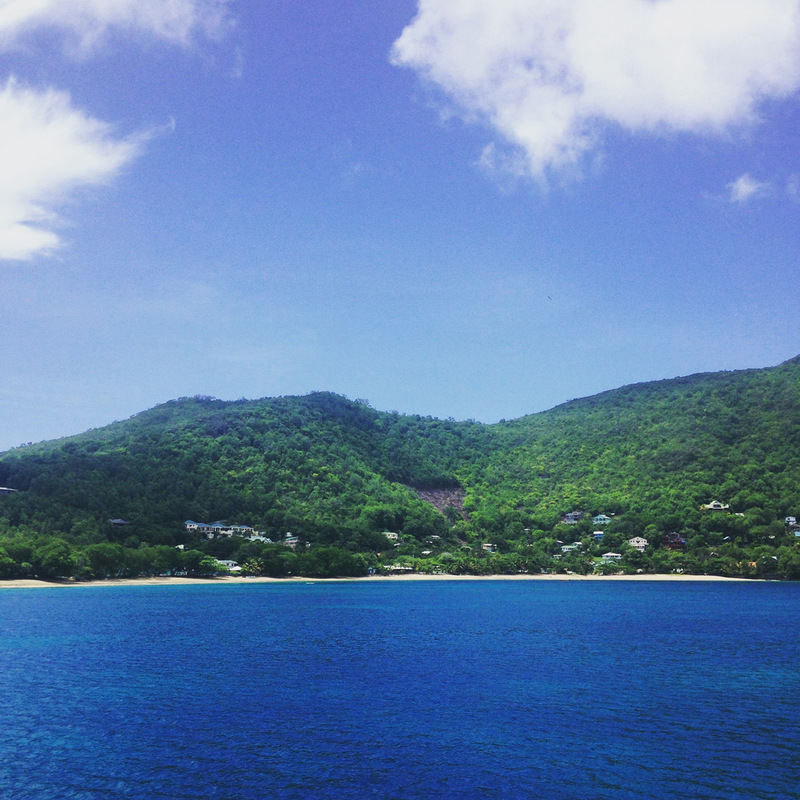 We left St. Vincent in the morning for what we thought would be a "quick trip" over to Bequia. 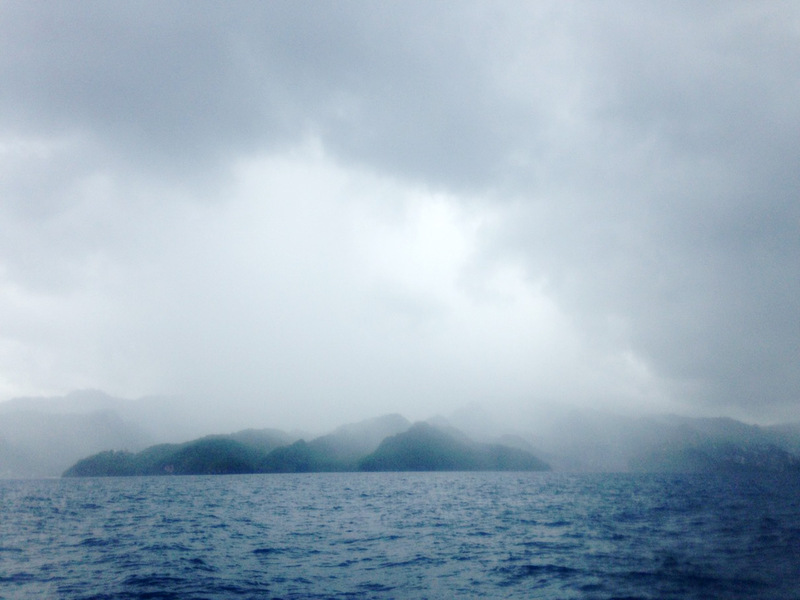 It's only 14 miles, but there were many squalls blowing through and the weather was nasty. We geared up in our rain jackets and it was kinda fun at first (free shower for us and the boat!). Then when the rain didn't actually ever stop, it got cold. Very glad we had jackets! 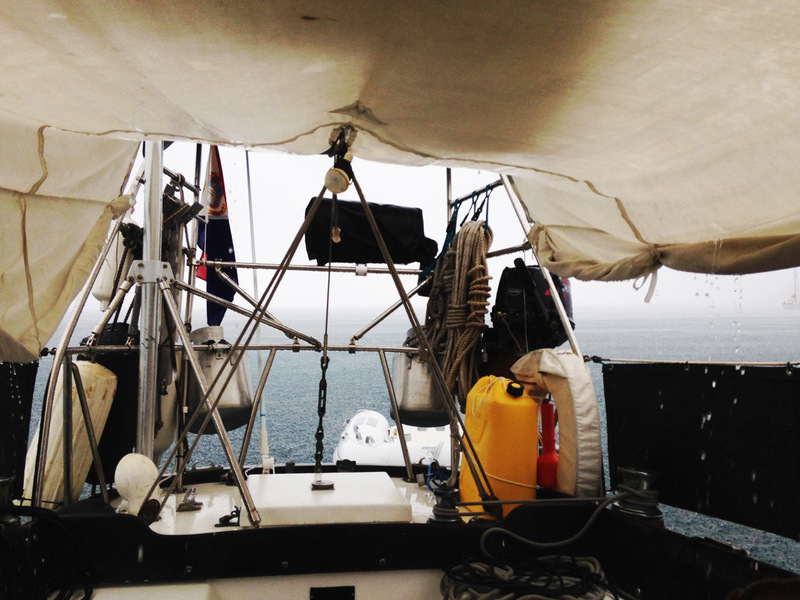 Being cautious, we started the trip out with 2 reefs in the main and left the head sail down. That ended up being such a great call since the wind was gusting from 6-40 knots! 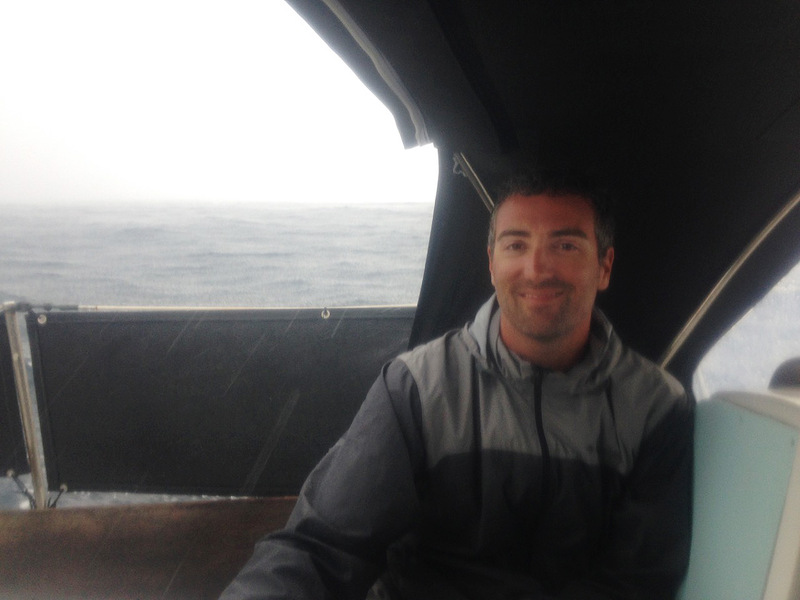 The seas were choppy, but not too terrible, but the strong gusty wind left us cruising along at a whopping 2 knots. Watch out! 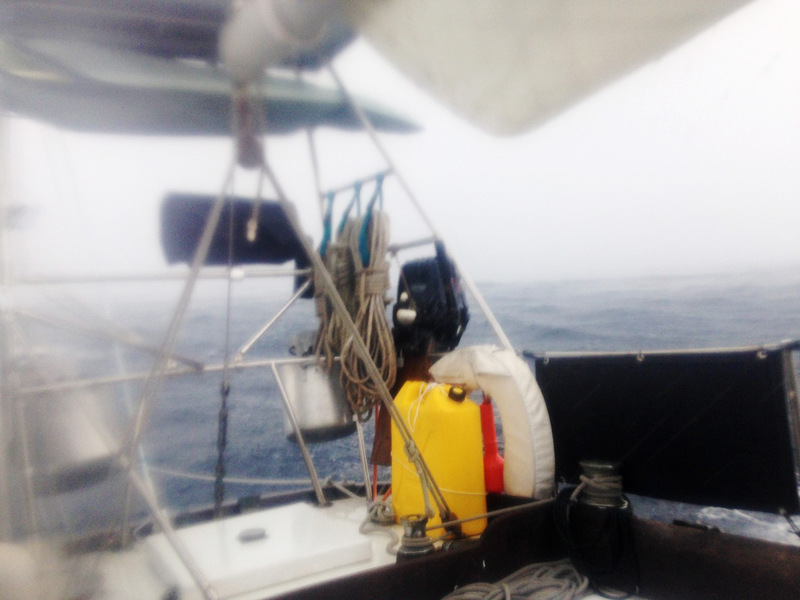 Once the main squall had passed, we threw the head sail up (left the 2 reefs just in case) and picked up speed. Our quick sail ended up taking forever, but we felt safe so that's all that matters. Slow and steady. We anchored in Admiralty Bay near Princess Margaret Beach. Town is very cute and there are a few good groceries to reprovision if needed. Or pick up a bottle of the local rum (from St. Vincent) called Sparrow, it's really good and cheap! On our way back to the boat we saw a Moorings catamaran that had dropped it's mast on their way from St. Vincent. They obviously got caught in the same squalls as us and must of had a full main out. The mast busted in 3 places, yikes!! They were fine, but man how scary it must of been! We were really glad we pottered along with our 2 reefs in after hearing that. More wonderful produce! 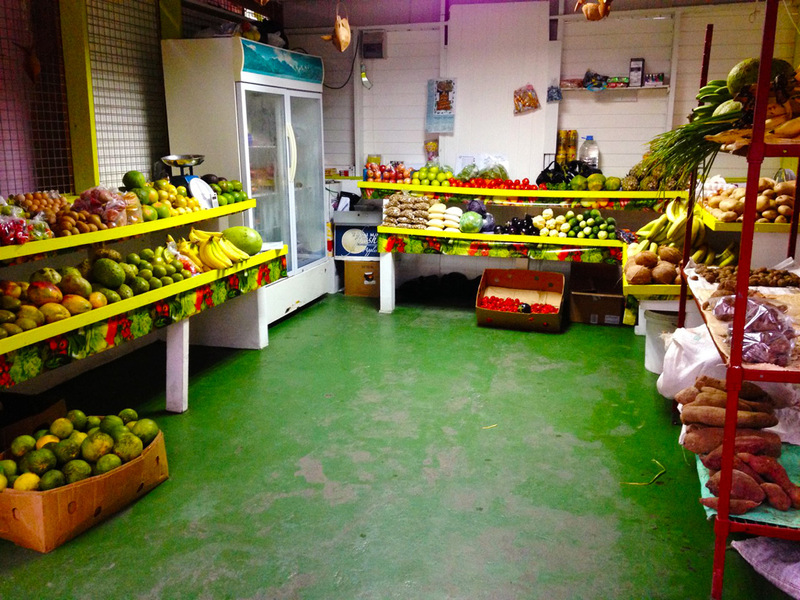 Great local bananas and green peppers. 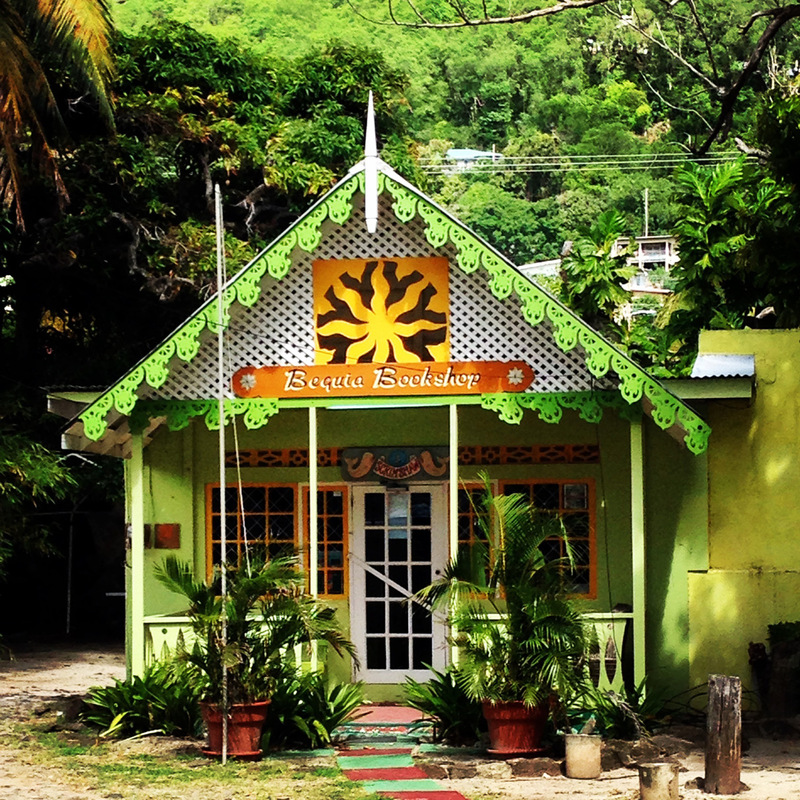 We stayed in Bequia 2 nights and it rained all day the first day, but was nice and sunny the next. 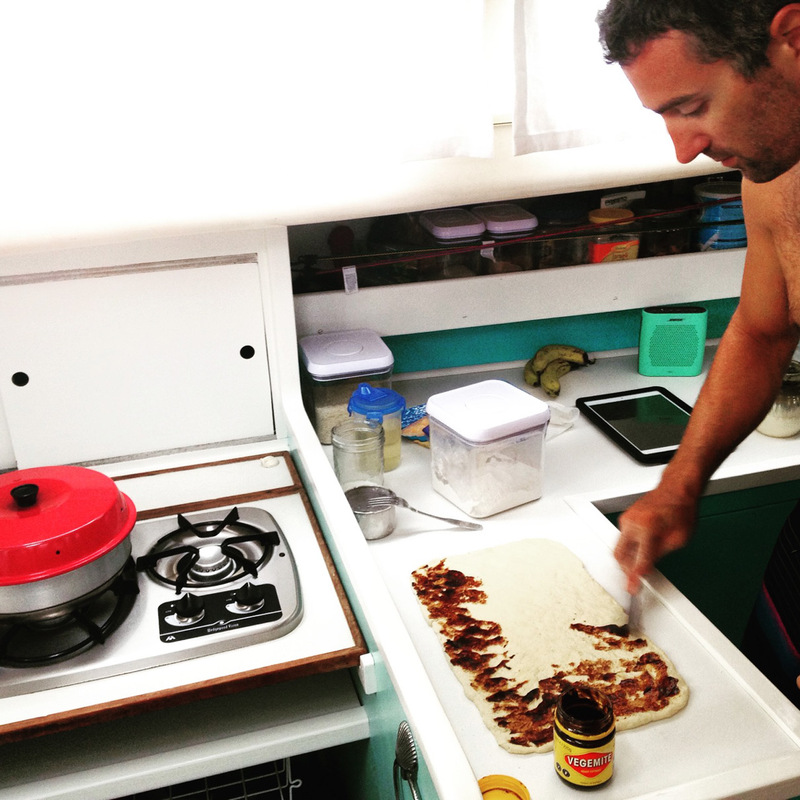 Made for great days lounging around, making a cheesy Vegemite loaf, watching movies, and catching loads of rainwater! 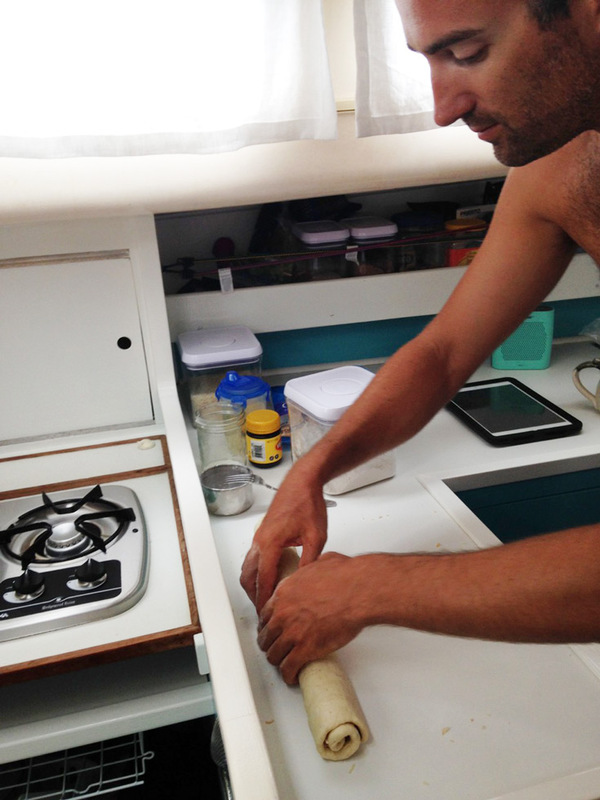 Good for me: Matt used to be a baker (in Australia hence the Vegemite obsession) Woo hoo! Bonus! Mmmm look at the delicious cheesiness going on there! 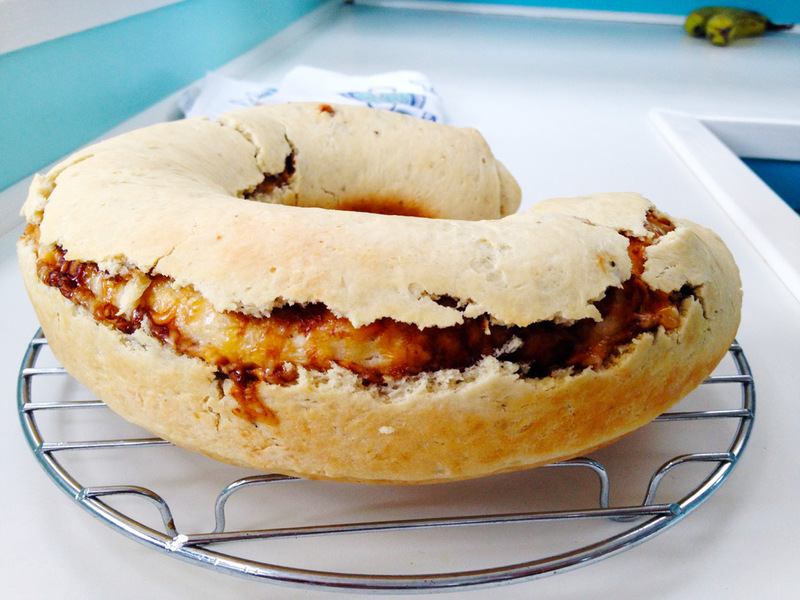 Another Omnia Oven success! I was going to link the oven to Amazon where we bought ours, but it looks like they are out of them. I found the Omnia from sale on this site, but they seem more expensive. They are worth it though! More and more rain. We kept trying to find things to throw outside for a fresh water rinse! Boardies, bikinis, towels - on the deck! Hurry and do the dishes and fill the tea jug and all the water bottles! Once the tank if full and any bottles you've got laying around, it feels like you are wasting all that precious water that's just falling from the sky! Matt watching our flexible water tank fill up and telling me when to close the deck fill. We just let it rain for a few minutes to wash the deck before collecting the rain. 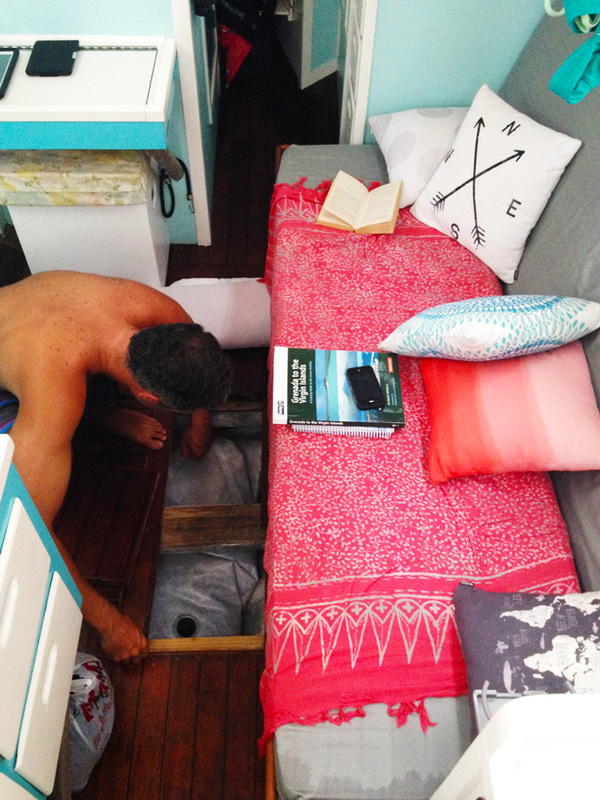 Then I open the water deck fill and put a rolled up tea towel behind it to sort of "dam up the water". It works great! We just have one deck fill on the starboard side, but in a downpour it fills our little tank right up! We sat outside and had a few rum and cokes while we played Bananagrams. It's a fun game, but after 2 rounds you are kinda over it. We realized we forgot to bring a deck of cards so will definitely need to get some. Not that either of us remembers any card games anymore! Be sure to bring a few games along for rainy days/nights. Or just put on some music and have a dance party like we did. Here's the pretty anchorage. The sun was shining the next day so we headed back into town to walk around a bit. 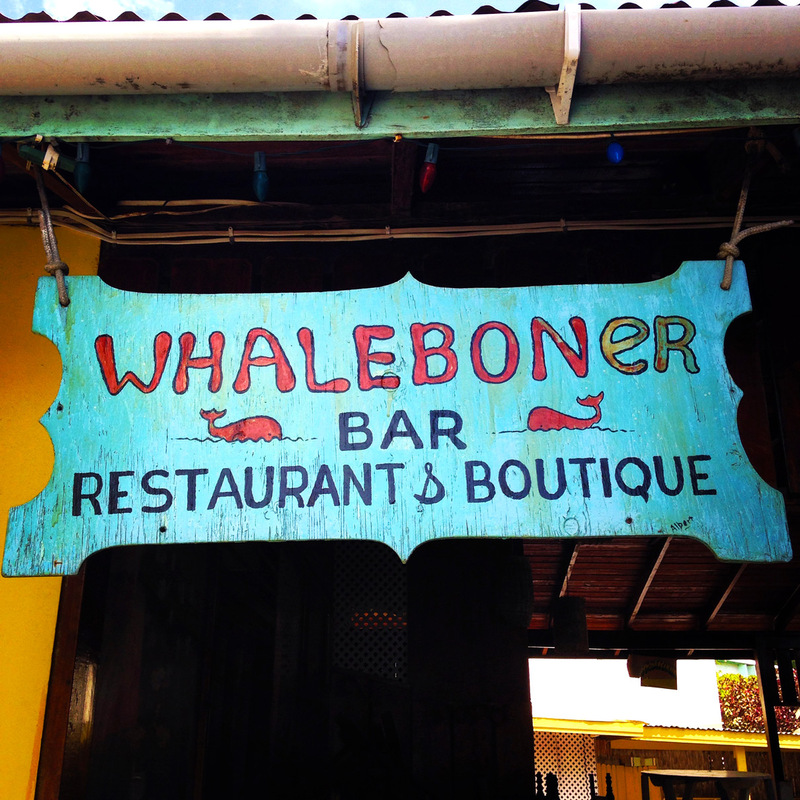 Matt found the best bar in town called Whaleboner (hehehe). The bar and entrance are made from whale bones, very cool! The locals are allowed to hunt 1 whale a year, but they must do it the old school way (whatever that is) and since the youngins aren't really into it anymore, they rarely even kill the 1. Anyways, that's where the bones came from to make Whaleboner bar. 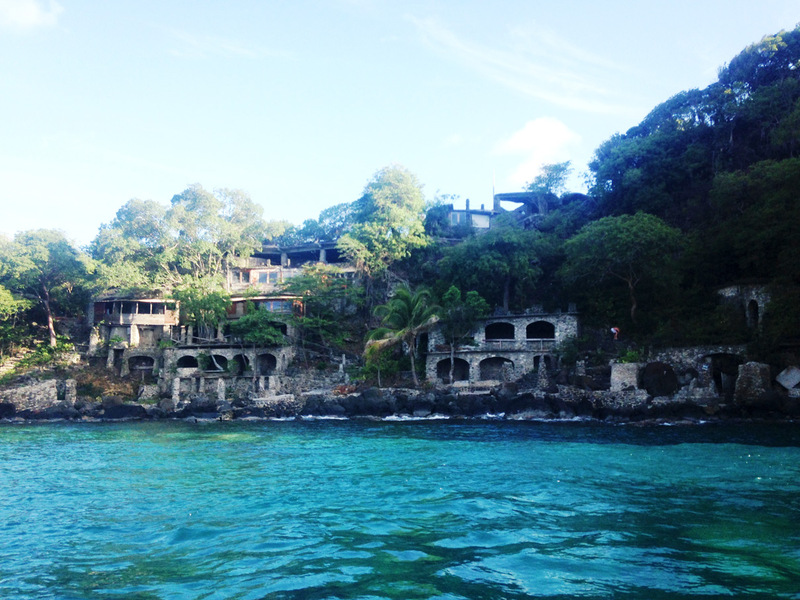 As we were leaving Bequia we were told to watch for the Moonhole Hotel on our left. 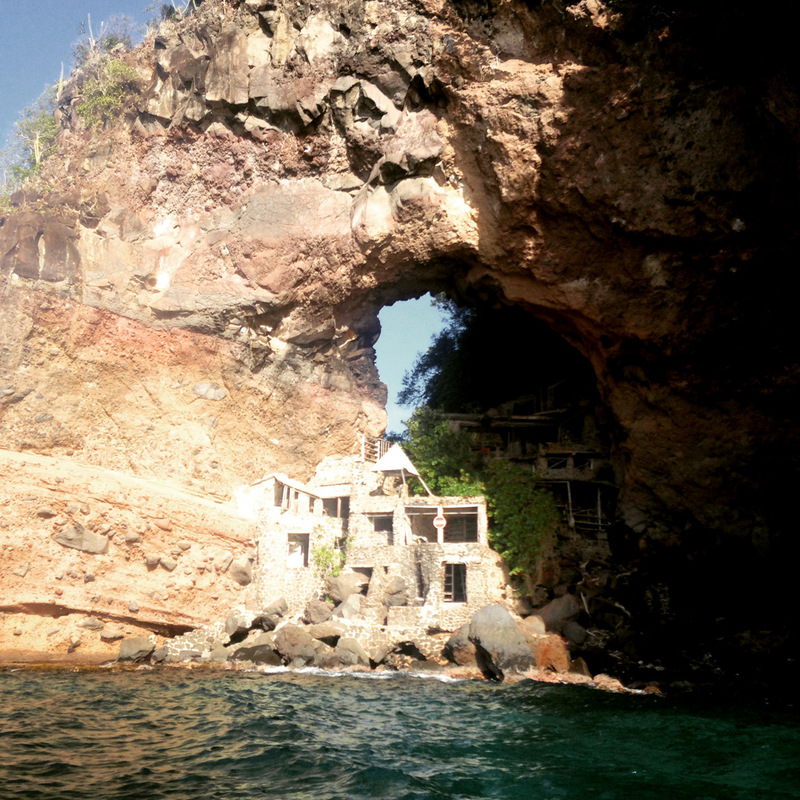 From the sea, it looks like homes out of the Flinstones or something. So cool to look at through the binoculars. A little community of homes built by stone and whalebones and running on solar and rainwater collection. Google it to see some incredible pics of the insides. I think the main one in the pic below is not open anymore because of falling rocks, but the others are open and can be rented. How awesome! My girlfriend and I just love yalls blog! I especially like the boat build myself. Glad yall are doing good. 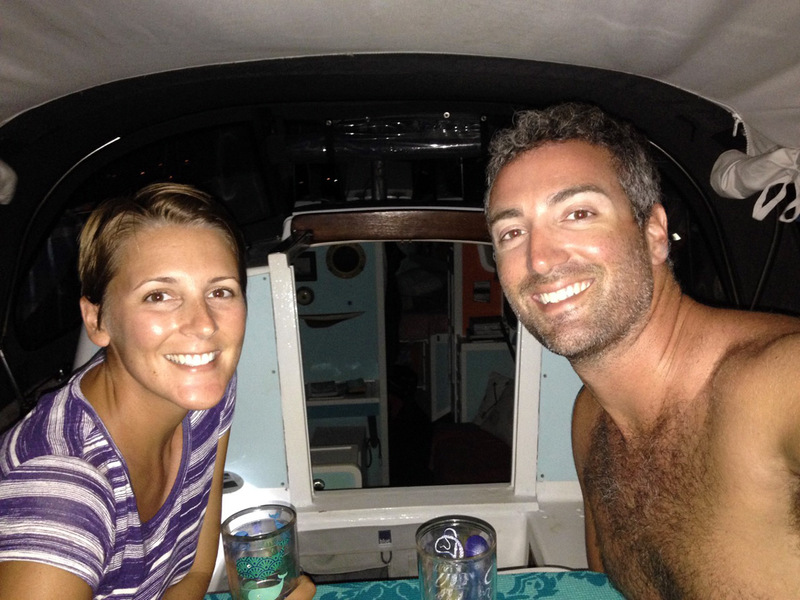 We have a bareboat sailng trip booked in the BVI in January and are super excited. And nervous. It will be our first sailing trip in the ocean. We are from Texas but are looking to expand outside of our inland lakes. Fair winds! Hello and thanks! 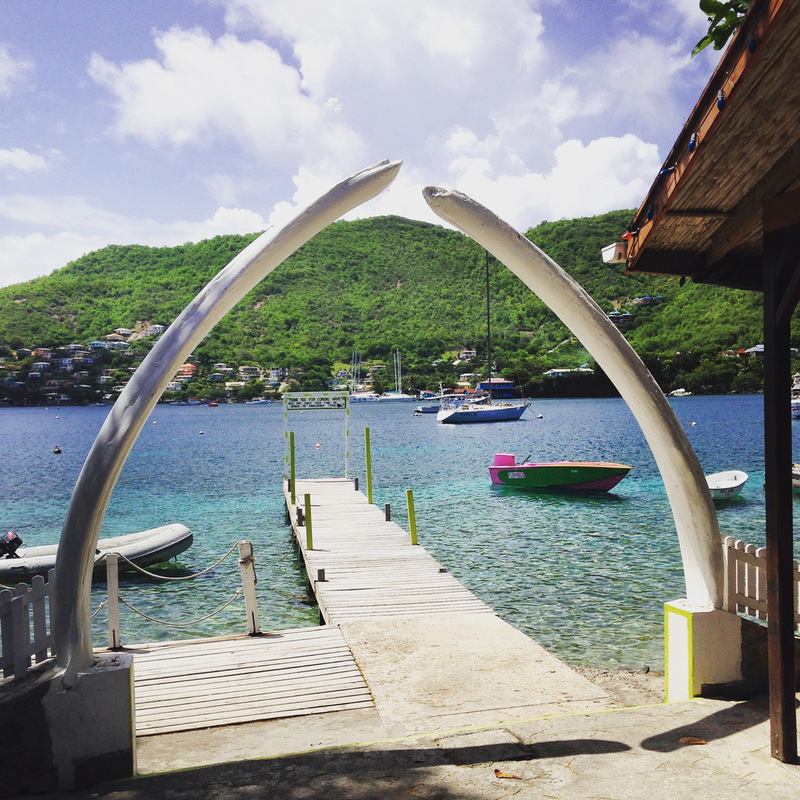 How exciting about your upcoming trip to the BVI's! We will be onboard the Lagoon 620 we work on called Lady Katlo and in the BVI's during that time as well. It's a buys time of year, but absolutely beautiful. You'll love it. Do you know what boat you'll be on? We may cross paths! We will be on a Moorings Beneteau 37.2 Club. We are super excited. We'll keep a look out!